John Battelle's Search Blog 2011 Predictions: How Did I Do? (image) For many years now I’ve made predictions, and for just as many years I review how I did. This is the week I do the reviewing, my predictions for 2012 should arrive around the New Year, assuming I find the right inspiration. 2011 was a strange year in many ways. We lost Steve Jobs, stupid Internet legislation reared its ugly head yet again in the form of SOPA, Internet IPOs came back in a big way (but didn’t perform as well as most would have liked), and the world woke up to the implications of programmatic buying and Big Data, in a Very Big Way. Jonathan Zittrain: The PC is dead. Why no angry nerds? Score: I think I called this right. There is a robust movement toward saving the core principles that made the web what it is. But it’s at the early stages at this point. Score: 7 of 10. Prediction #2: Voice will become a critical interface for computing (especially mobile apps). Hello, Siri…I’d say this one happened, with bells on. And it’s just the beginning. Score this a 9 out of 10 (because Siri, while very important, is still not as good as it can be. Then again, Google, Amazon, and Microsoft all made voice moves this year as well). Prediction 3: DSPs (Demand Side Platforms) will fade into the fabric of larger marketing platforms. This one is hard to quantify, it’s more of a feeling – DSPs were the Big Scary Development in the ad industry a year ago, and now…not so much. They are just part of the world we live in, and programmatic buying is a fact of life, one that is growing very, very quickly. Publishers have responded with their own adtech (FM purchased Lijit, for example, Google bought AdMeld), and on we go. I think I got this right, in the main. Prediction 4: MediaBank will emerge as a major independent player in the marketing world, playing off its cross channel reach (outside of digital) and providing an alternative to the conflicted digital platforms at Facebook, Microsoft, Google, and Yahoo. Well, MediaBank merged with its main competitor, DDS, to form MediaOcean, run by the CEO of MediaBank. And the combined company is a behemoth, one capable of standing toe to toe with Google on several fronts. I think this one absolutely happened. Prediction 5: The Mac App Store will be a big hit, at least among Mac users, and may well propel Mac sales beyond expectations. I’m not quite sure how to score this one. I don’t get the sense the Mac App Store was a big buzzy hit, but Apple recently released numbers about its success – 100 million downloads in the first six months of its existence (the last six months of this year). And the company’s Mac sales are for sure on a roll, though I don’t know if one can attribute this to the Mac App Store. In short, it might be too early to call this one definitively, but net net, the trending is good. Prediction 6: Apple will attempt to get better at social networking, fail, and cut a deal with Facebook. Oh boy, I got this so tantalizingly right, or wrong…depending on how you score it. Let’s break it down. “Apple will attempt to get better at social networking…” Check – Apple introduced Ping late in 2010 and then updated it throughout the year. “…fail…” Check. Ping never really took off. “…and cut a deal with Facebook.” DOOOOH. No way. If only I had said “…and cut a deal with Twitter….” I should have seen that Apple would never play nice with Facebook, if only due to the conflict around owning the business of media consumption. It sure did try, but negotiations broke down, according to most reports. Prediction 7: Apple will begin to show signs of the same problems that plagued Microsoft in the mid 90s, and Google in the past few years: Getting too big, too full of themselves, and too focused on their own prior success. All in all, I probably didn’t nail this one. But I’m not going to say it isn’t starting to happen. Score: 5 of 10. Prediction 8: Microsoft will have a major change in leadership. I am not predicting Ballmer will leave, but I think he and the company will most likely bring in very senior new talent to open new markets or shift direction in important current markets. Well, thanks to the Andy Lees move last week, I look like a genius. Also, long time Microsoft exec Yusuf Medhi, responsible for the most important piece of Microsoft’s new business (Bing), has been moved to its next possibly most important line of business, Xbox. Not to mention Ballmer’s various shakeups of senior management this year. Plus, rumblings continue about whether Ballmer is the right man for the job – to the point of some wags speculating that Gates might come back. As if. Score: 9 of 10. Prediction 9: The public markets will be surprisingly open to major new Internet deals. Well, I could argue this is utterly true. After all, compared to 2010, there was a raft of Internet deals that got out this year – Demand, LinkedIn, Zillow, Angie’s List, Pandora, Zynga – with many more filings pending public debut. But none of them did very well – most if not all are trading below offering price. So the market let them get out, but isn’t trading them up. So was the market “open”? Yes. Was it enthusiastic after open? No. Prediction 10: The tablet market will have a year of incoherence. Apple will dominate with the iPad due to a lack of an alternative touchstone. Well, that was way too easy. Exactly what happened – HP tried, failed. RIM tried, failed. Amazon is trying, and the early reviews ain’t great. We’ll see. Score: 10 of 10. Prediction 11: “Social deals” will morph to become a standard marketing outlet for all business, and by year’s end be seen as a standard part of any marketer’s media mix. I think this has happened – nearly every small business has now heard of daily deals, and most forward leaning companies both large and small are using deals as a channel like any other (search, Yellow Pages, etc.). Don’t forget that a year ago, when I wrote this prediction, folks were talking about the deal market as something totally unique, like DSPs. Related, in this prediction I also wrote “I’m tempted to say Facebook will abandon its own Deals offering for a deal with Groupon, but I’m not sure that will unfold in one year.” Facebook did indeed bail on its Deals offering, but did not cut a deal with Groupon. (Foursquare did). Prediction 12: Groupon will fend off an acquisition by a major carrier, probably AT&T or Verizon. It’s possible they’ll sell, but I doubt it. Google tried to buy Groupon around the time I made this prediction, but failed. I am unaware of any other suitors for the company on its way to its IPO, but I’m not privy to what might have happened. Nothing was publicly reported, however, so I’ll have to say I whiffed this one. Prediction 13: Facebook will decline as a force in the Internet world, as measured by buzz. The company will continue to be seen as Big Brother in the press, and struggle with internal issues related to growth. Also, it will lose some attention/share to upstarts. However, its share of marketing dollars and reach will increase. I could find more, but I think you get a picture here of a broad swath of “buzz makers” questioning the company. Meanwhile, according to all reports, the company is killing it in revenue. Prediction 14: We’ll see major privacy related legislation in the US brought to the floor of Congress, and then fail for lack of consensus. But that will drive a significant shift in how our culture understands its relationship to the world our industry is building, and that’s a good thing. Well, we had quite a number of these bills brought to Congress in one way or another. I probably should not have used the words “to the floor,” as that implies open debate. Nearly everyone in Congress and the Executive branch talks about some kind of privacy legislation, but no one can seem to agree what that means. As of late Fall, seven different legislators have introduced bills. But as far as I can tell, none have really gotten anywhere. However, the conversation around the issues has accelerated significantly, as predicted. In summary, I think my predictions fared pretty well. If you take a score of 7 or more as a “hit,” 4-6 as a “foul ball,” and below 4 as a “strikeout,” I hit 10 of 14, fouled off 3 of 14, and whiffed massively just once. So, how do you think I did?! Total cop-out on your DSP predictions. Acceptance that we are not going anywhere is hardly “fading”. In fact, I would argue that DSPs have become more, not less, central to the media buying process and the space is going exponentially with billions flowing through it. Big miss on this one buddy. This whole thing is a big mess – a catastrophe! Way off! Only kidding. I actually would’ve given you a higher score on #1. This seems like fun. I think I’m going to try it out. I’ll post a link when I finish it. Maybe today. People don’t realize how hard doing predictions for the coming year is. What seems obvious now seemed ludicrous just a year ago. Unless you do like most out there and sandbag your “predictions” with the totally obvious. Most people’s predictions are a year late IMO. As always, you did a great job. I think you’re getting better each year. Thanks Tac. The five year predictions seem harder to me! Ha! I think it is a little early to pat yourself on the back about tablets. I think the Kindle Fire is a game-changer that brings an entirely new set of users into the tablet market. It is not a head-on iPad competitor by any means, more of a media consumption tablet. But so far the only one to mount any kind of real challenge. Otherwise, kudos! Monday morning quarterbacking is easier than predicting, that’s for sure. Great job John, looking forward to the 2012 predictions. I love your predictions and always look forward to this follow up. I think you missed completely on the Mac app store but otherwise you are pretty remarkable ! You should consider Automattic for your 2012 predictions! Your predictions weren’t bad, i’m looking forward to 2012. My own prediction for next year is that electronic wallets will become popular payment tools. Anyone can predict and hopefully it’s more good for everyone.. 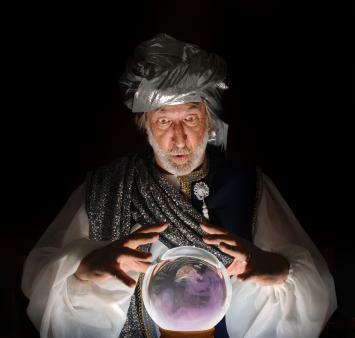 Your predictions are free, that’s still one of the features of your blog! Thanks for providing some of the best assets in life, Knowledge! Every year these predictions are awesome… keep it up, reading them has become a total Christmas tradition for me (ever since you keynoted CJU in 2005, if you remember that). Thank you. That’s really cool! I do remember! Looking forward to reading your 2012 predictions – wondering if the word Mayan will be included? Great as usual. Either you actually own a cristal ball, or you are one of the best informed pearson on the business. I also would love to see you thoughts on the digital economy on a worlds economical crisis context. Next Next post: Happy 2012!